Sprint Moving Service, London, Ontario's Most Trusted Storage Company. House not ready? No stress at all. We'll store your goods until you're ready to move. Contact us today to learn more and get your free quote! You possessions will be wrapped in protective moving blankets. We have a strong alarm and security system to protect your goods. At Sprint Moving has been moving happy customers since 2007. We are a trusthworthy company. Look at our reviews!. Our storage is clean, modern, climate-controlled, pest-controlled, and government approved. If you're house or office isn't quite ready, our warehouse allows us to easily store your goods. We'll finish the job when your new home or office is available! Matt, we wanted you to know how impressed we are once again with your crew. Very personable and respectful and calm and positive and polite as well as having great problem solving skills. Once again we are impressed and happy with your service. Thank you We have used Sprint for several moves and small jobs too. Your staff is always friendly and respectful and skilled at what they do. We personally would use no other mover and highly recommend you! Hi Matt - Very happy with my move! I contacted The Grantham Group to thank them for recommending Sprint Moving Service. Greg, Mike and Darien were such an efficient team. They need to be commended on a "Job Well Done". I will highly recommend your company to others. Thank you so much! 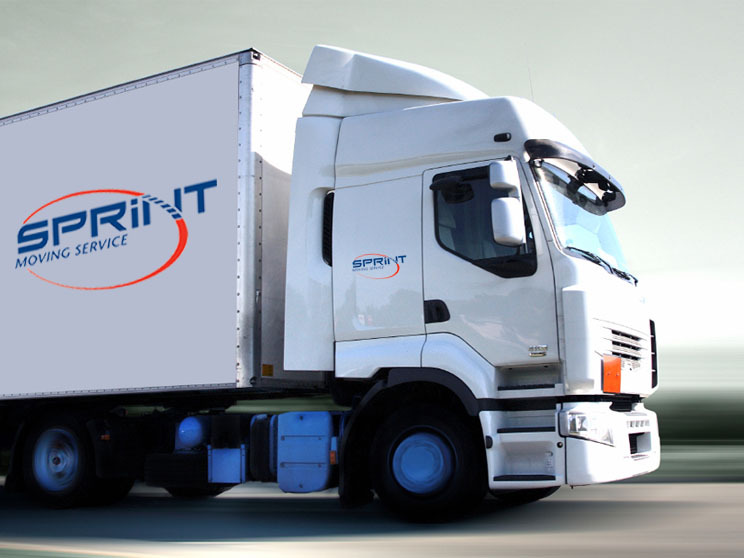 We had the pleasure of having Sprint Movers help us with a move last week. From the initial phone call to the completion of the move we found the personnel to be friendly, knowledgeable, professional and efficient. We are a former military family and thus have made numerous moves. Your company rates among the best. We highly recommend you and will certainly use your company again if the need arises. Thank you. We relocated our office last weekend and were so pleased with the great guys we had. Not only were they very careful and professional, they were super pleasant to deal with. More than helpful, they ensured desks, boxes etc. were placed where we wanted them. The service we received was amazing! Robert A. Hughes (London) Limited. Good Morning, I just wanted to say Thank You so very much to yourself and your team of very hard working guys. With your teams help it made this move a quick and organized move. The guys were friendly, quick, and professional. Thank you so very much again , I'll be recommending your company to my friends and family and if I do move again, I will be using your company. Thank you for making this a smooth transition for me. Hi Matt: Just wanted to thank you for the excellent service your company provided yesterday when moving my Dad, Heinz Demare to Whitby. Greg and Mike were such hard workers. I have never seen anything like it! Nothing was too much for them. They were very careful with all his things. They were so nice and kind to my Dad. The recommendation to go with your company came from our real estate agent Jen Porter and I have already messaged her telling her how great the service was. I would not hesitate to recommend your company to anyone! Thank you again. Hi Matt, I want to thank you for the excellent service I received from your company on my March 1st move from Northridge to the Mount. The price was reasonable and your workers very competent and friendly and took great caution not to damage any walls, etc. I would recommend your company to anyone. Matt, We were very happy with the service we received from Sprint Moving. Your team was efficient and professional. Our packages arrived at our new home with no issues. We will be calling Sprint Moving Service the next time we move. Thank you for your hard work and professional service. Hi, Matthew: Thank you so much! My moving was done yesterday! Your team, your moving truck, facilities and skill are great. I am very happy. Please say thanks to two young men too, they are friendly, humorous, and work very hard and efficiently. Dear Matt, The move went very efficiently and the credit goes to Greg and Mike for being such fantastic movers! They both were focused on the job, easy-going, pleasant and wanted to ensure all the boxes and items placed in my new home were exactly where I wanted them to be. Very considerate and respectful individuals. They absolutely deserve a year end bonus, they both help to make your business a success! Thanks very much! Hi Matt, Hi, just wanted to thank you, Mike and Greg for the great service today! I really appreciated Mike and Greg’s professionalism and hard work. They made my moved stress free. I will definitely be referring my friends and co-workers to you guys and hope to use you again in the future. Hi Matt, Hi Matthew, just wanted to drop you a quick note to thank you for the great service today, couldn’t have been happier, the guys did a fantastic job. Will certainly pass along referrals for your business. Matt, I just wanted to pass along how fantastic your guys were today,totally professional and excellent job. Made moving with 0 stress. I will absolutely recommend Sprint for both price and workmanship. Thanks again and see you in a year ???? Matt, I just wanted to Thank you for sending your guys out to move me on Friday. It went very well, and I couldn’t be happier with the guys you sent. They were fast, worked hard and very courteous. Also your estimate as far as pricing was bang on! Thanks again and Merry Christmas! Matt, Both Dwayne and Greg were awesome yesterday morning! They showed David great respect and consideration making sure he understood everything they said. Unfortunately not everyone is like this with the elderly and the deaf. Everyone of my concerns were put to rest as you’d promised. I am glad to say that my friend was “dead on” about you and your company. Customer service is your priority. We will most definitely highly recommend you in the future! With great appreciation. Matt, Your crew made our move to London stress free. They worked very hard and efficiently and our dealings with you and arrangements were very professional. Thank you, we would happily recommend your services. Hi Matt, I want to say a big thank you to you and your team on making this moving day from London to Toronto a little less stressful! Your guys were very professional, extremely efficient and good at their work ! To add to this, they were also extremely friendly! I’m so glad I chose your company to assist us in our move! I will definitely recommend you to my friends and family! If we are coming back to London in 1 year I will reach out to you! Have a good week! Hi Matt: I just want to thank the Sprint Team we had for our move from London to Kitchener. The three guys that helped with the move were professional, hardworking, polite and extremely careful with all of our belongings. The estimate we were given was accurate and the price for our move was more than reasonable. What impressed me most was when one small item was accidentally left on the truck, one of the movers, on his own time drove the item right to our new house…..incredible service! A big thanks for making this day trouble free! Hi Matt, They were wonderful, hardworking, funny in other words totally awesome. The move went smoothly because of them and your fabulous company. Thank you so much!!!! Hi Mathew: I am dropping a short note to tell you your crew did a great job. They did not waste time in talking or doing superfluous things. They were quite professional, knew their job and completed the move, taking less time than estimated, thus saving me money and time as well. I will recommend you to any of my friends. Matt, You just left & I couldn’t be happier about my move from London to Cambridge. Not only did you accommodate the several changes in my move date, every time I had to change it you said no problem. Even the last time when I said it would be on the last day of the month. With only about 10 days notice I might add. You and John were completely professional, friendly, courteous and very respectful of the fact that I was moving out of one apartment to another and that I had neighbors to consider. I will also be sending out a huge thank you to Frogbox for accommodating me with wardrobes. Peter is amazing. This truly was ‘The Easy Move’ and I will be recommending you to anyone I know who needs a mover. Hopefully that won’t be me for a long time. Hi Matt, Just thought I’d drop you a note to let you know we very satisfied with your services. Your movers were presentable, polite and hardworking. Its not an easy job and I know it can be tough to find the right crews. You supplied the right equipment and services for the right price. Again, thanks. Dear Matt: I would like to thank you and your crew for an outstanding move last Wednesday. The men were ready to start right on the hour as booked and had the truck packed in very good time. They were efficient, professional, helpful with suggestions along the way, and polite. It was the best move I’ve ever made as I didn’t have to worry about anything. I would recommend Sprint Moving to anyone looking for a reputable moving company. Dear Matt: Just wanted to say thanks and convey my regards to both of your young guys. They were very professional and we felt really comfortable. I sure would recommend and use your services again if required. We were so happy with the move, your guys were so great, could not believe how coordinated and efficient they were. Thanks, we would definitely refer business to you given the opportunity. Hi Matt. I just wanted to thank you for the wonderful experience of having movers. Great service, great guys. Much appreciated. I can’t remember the other fellows name but he was great too, thank so much I highly recommend you guys for reasonable rates, safe move, quality service and work. Kindest regards. 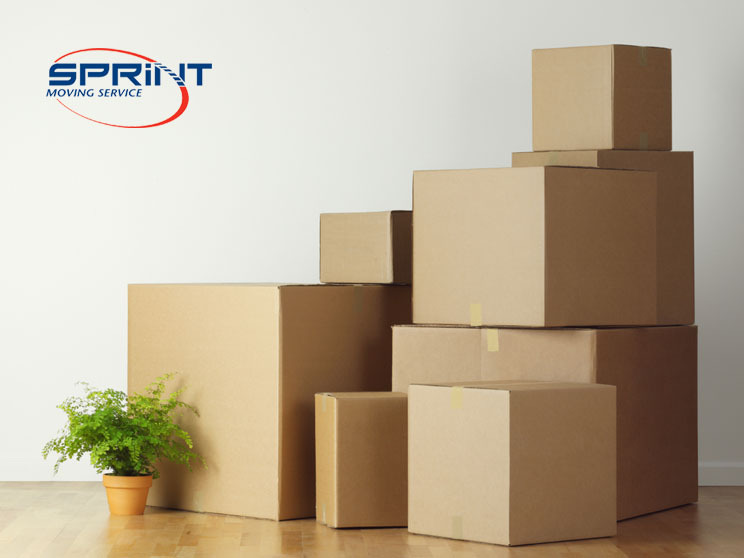 If your new home isn't ready for occupancy, Sprint Moving Service is happy to store your goods in our warehouse until you and your home are ready.